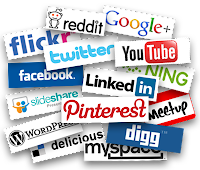 What isn’t going anywhere any time soon is the wide world of Social Media. It will continue to grow, which places higher demands on brands, businesses and other organizations. I recently had a conversation with a popular musician, who wasn’t using one of social media’s most widely used picture and video apps; Instagram. With him being so visible, and with sponsors and endorsements galore, he was advised (by one of his sponsors) that he had to create an Instagram account, as the ones endorsing his brand were highlighting him frequently. Needless to say, he now has an Instagram account. There is no way around “needing” social media for your brand or business. It is a fact that your social media accounts and your brand’s message should completely align with one another. There are quite a number of things that you can do to ensure that you are sending the right messages out to your current and potential clients and customers, but let’s start with three! 1. As a new business, make sure that your posts are consistent, vibrant and welcoming. If you are in the business of selling energy drinks, that’s what your posts should consist of; wording that talks about the company, quotes about the company/product, pictures of the drink, testimonials from customers, health facts, etc. Consumers, as a general rule, like to “see” what they are potentially purchasing; eye-catching posts are a great way to grab the attention of someone who actually may be looking for a new energy drink, or looking to do business with your brand! 2. Your personal and businesses pages should never be used interchangeably. Here’s an example: your business page is all about custom, knit blankets and booties for babies. However, there are quite a few pictures of people in a club like atmosphere, with beverages in hand, etc., on your business page. Unless your pictures include your custom items while in the club (which is highly unlikely, as baby blankets have no place in a club), this type of thing belongs on your personal social media page(s). There is nothing wrong with having a great night out with friends, and capturing moments, but let’s make sure that we are consistent with our message across our business pages. There will be times when you will post personal pictures to your business account, because it somehow aligns with your product. Unless this is the case, the two pages should never cross. 3. Engage your audience. Don’t leave questions unanswered! Make sure that you engage your supporters, and make it easy for questions to be asked and answered. Another great idea would be to host Twitter chats, provide Periscope videos, etc., that will provide more information on your business, while answering questions simultaneously. Bottom line: Stay focused on your brand, have a clear message regarding your product(s), and watch your business grow! Connect with Lauran Smith on Twitter andFacebook. For more information on services visit PRbyElle77.com. Priscilla Q. Williams, RN - Author, Speaker, Health & Wellness Expert, and Certified Coach. 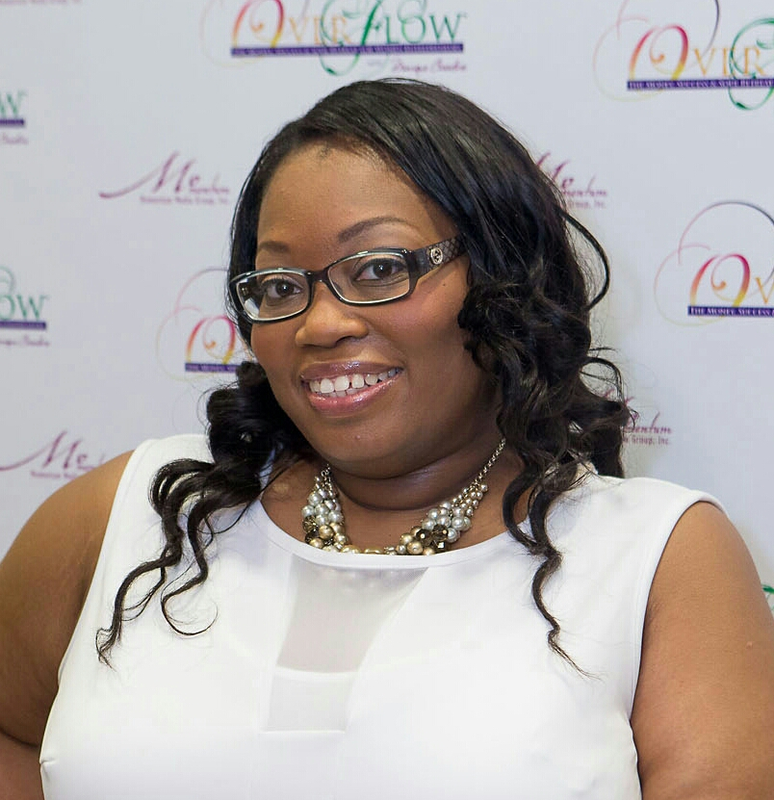 Priscilla is the founder of Priscilla Q. Williams, Inc.(www. priscillaqwilliams.com) An organization that provides education, wellness, and women's empowerment both locally and nationally. Priscilla has created other women empowerment programs such as Lifestyle Fitness For Women Who Lead, and Rock Your Royalty. These programs promote women's health, wellness and life empowerment. Priscilla has hosted a number of Women's conferences, and leadership events to encourage other women. Priscilla has been featured on FOX, WCIU, CBS News, WVON, PCC Network, TCM Radio, Chicago Sun-Times, Girlfriend's Health Guide, HOPE Magazine, and the Priscilla Williams Show. Priscilla is a game changer in her industry and looking to help change the lives of women around the world. The BOSS Network: What were some obstacles that you faced in the beginning process of starting your business or career? Priscilla Q. Williams: In the beginning of my business I faced a lot of doubt and insecurities, because I was afraid of what other people might think or say. So this held me back from really living up to my full potential and doing the things that made me happy. Now, I have the confidence to do what's best for me and my business no matter what others think. PW: My entire life I have loved caring for people. I wanted to be a nurse since the third grade and never wanted to do anything else. Once, I became a nurse I knew that there was more for me then that. I loved my job, but I knew there was something else I was missing. I made a decision to join a coaching program in 2011 with my coach Monique Caradine and my life completely change. I begin to see my full potential and what was possible for me, and the rest was history. After a few years of coaching and having massive breakthroughs in my life, I knew I had to help other women. That is when I knew I was called to be a coach and help other women create success in their lives. BN:How do you balance your personal and professional life or have you been able to find a balance? PW: There is never 100% complete balance in my life, but I do make a conscious effort to create as much work/life balance as I can. I am blessed to have a supportive husband and son who makes it easy for me to work and not feel pressure at home. I make sure to schedule time for myself. This can include a spa day, reading a book, having a glass of wine with my girls, or traveling for fun. I am also very mindful about making sure I eat a healthy diet, and exercise at least 3- 4 days a week. This is very important in keeping me together. PW: I have been blessed to have some really great mentors in my life. I'm thankful for Cynthia Williams, an influential business women in Chicago who took me under wing to teach me everything she know. My coach and mentor Monique Caradine who helped me get to this point in my life, and now I get to do this amazing work along side of her. I am also grateful for Cameka Smith, the founder of the Boss Network for mentoring me and teaching me what it takes to become an influencer and build a national platform. PW: The must haves for me is my relationship with God first and foremost. So I start my day with prayer and meditation to help keep me centered for the day. Next, I must have a coach or accountability partner to help me see past the blinders. Lastly, I must have a a plan for myself and my business. This is very important to help me stay focus and on point for the year. I start out the beginning of the year with a map of what I want to accomplish by the end of the year. PW: My definition of a BOSS is a person that is game changer and influencer standing in their power. A BOSS not only knocks down the doors to success, but she reaches back and help others come through the door. That's why I love Cameka Smith and Boss Network for creating a space for business women of color to grow and succeed. The one person besides the chairman of The Federal Reserve that people listen to regarding the state of the union on finances, investments and all things money is Warren Buffet. 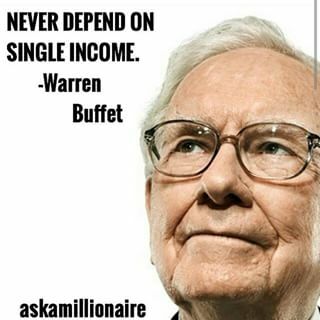 The Berkshire Hathaway owner has a quote that I really take to heart: “Never depend on a single income”. I grew up in a time when my parents worked one job for 30 or more years and received a pension, gold watch and all the other things you supposedly work, scrape and scrimp for at the end of your time on the job. But as you know that is no longer the case! Not only have things changed, whole new markets have exploded and along with the bang, many new opportunities for growth, development and expansion. For single parents who are the head of their household, this is welcoming news! As a single parent, finding ways to be resourceful and grow your career or business, also adding a second or third income stream is and should be a top priority! It’s worth repeating, “Never depend on a single income”. And there are countless reasons why this should be a priority: job insecurity, unexpected mishaps (car breaking down to something more serious like an illness) and the list goes on! So how does one find his/her passion, second stream of income, etc.? There are a variety of ways and things you can do to get started! 1. Think of your own expertise, talents, passions and abilities – Use what you already have! In 2 Kings 4, (paraphrase) the prophet asked the woman what she had in her house. She responded that she had nothing, just a little oil. He told her to get as many jars as she could and pour the oil in the jars and not to stop until she ran out of jars. She did just as the prophet Elisha had instructed. That little bit of oil multiplied and did not stop running until she ran out of jars. The lesson here for me is to examine what my own jars (abilities) and oil are. What do I already have to work with? What did I like to do? What do other people praise me for? What could I do that would not interfere with my position as a counselor. I’d always love writing and that is what I enjoyed the most. But make money writing? As I began to explore the freelance writing opportunities, writing my own book, blogging and other writing opportunities, it’s like the oil is continual pouring. Don’t get me wrong, it takes some dedication and lots of research but the opportunities are there! What do you like to do or what are your special talents? When you bake for the family are they always raving about your creations? Start an online bakery. Are you good at editing? Can you sell milk to a cow? Part-time Sales? Real estate? The housing market is rebounding and many people threw in the towel when the housing market fell. Event planner? Life coach? Graphic designer? Online business selling your one of a kind art or crafts???? I can see your wheels turning! 2. Network – log on toThe BOSSNetwork.org! One look here gives you numerous ideas of being with like minded women who are sharing and exchanging ideas that become realities! Yours could too! 3. Find a problem and find it’s solution – Take notice of what frustrates you or others. Then think of a way to make it better! 4. Invest – If you can, find a way to invest. As little as $50.00 with Capital One (formerly ING), or invest in real estate or …do your research first. Talk to experts. Go to the library and check out books or videos and become EDUCATED. (Disclaimer: not an investment expert; please do your research and talk to financial experts). 5. READ, LEARN, APPLY! The more you know, the more you can use what you have! I am a voracious reader and love to learn! I am currently reading on my Kindle Jan Culliane’s book: “The Single Woman’s Guide to Retirement” and I am re-reading Steve Harvey’s book: “Act Like a Success, Think Like a Success”. You can be successful too! Use what you have; what is right in your own possession to make multiple streams of income work for you! Learn more about products and services at Randi Knight Blog Website. If you are anything like me or like most creative minds you have at minimum 10 new ideas a week. The super hero in you tells you that you can do each and every idea that comes into your head, but I have to share a secret with you. That’s not the best idea. Trying to do too many projects at once can cause you to be overwhelmed and you may get burned out. Believe me when I say I know, I have found myself working like a mouse on a wheel trying to get 6 projects launched at basically the same time. It was terrible and quite honestly I was working, working, working and getting nowhere. You have to decide what to work on now and which brilliant ideas to put in your “future folder”. The future folder is your friend, use it. 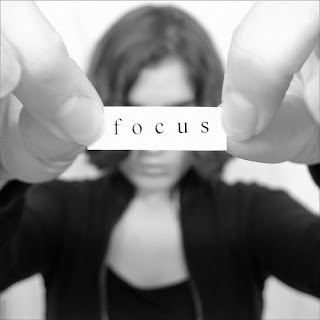 How do you decide where to put your focus? I’m glad you asked. This depends on your long term goal. For example if your goal is to make money soon, then you want to work on the project that is most likely to bring in revenue quickly. Once you have set your BIG goal then you should tackle it one piece at a time. Take your BIG GOAL, break it into medium goals, break those in to small goals and then break those into micro goals. By doing this you will reduce your chances of being overwhelmed and loosing focus or giving up all together. This helps you FOCUS on your FOCUS. Your focus plan may look something like this. Make sense? By breaking each task down, into smaller quantified goals with a due date you now have focus. As you complete your micro goals, you are now set up to complete your small goals and so on. Connect with LaTasha West on Twitter & Instagram @latasha_west and Facebook. Have you ever stepped back from your situation and thought, I have systems in place for how I run my business, how I parent my child(ren), how I pay my bills, etc. (6) At the end of the year, you know if your business was profitable or not. (7) You are proud and will do it all again next year positioning yourself for growth. (7) You LOVE THEM regardless of the kind of day you are having. (7) Some will be planning ahead and others may be thinking about planning ahead. (1) Do you know about your body? (2) How do you currently take care of your health? (3) If you don't have health insurance, is ER your go to? If so, that costs more without any plan. 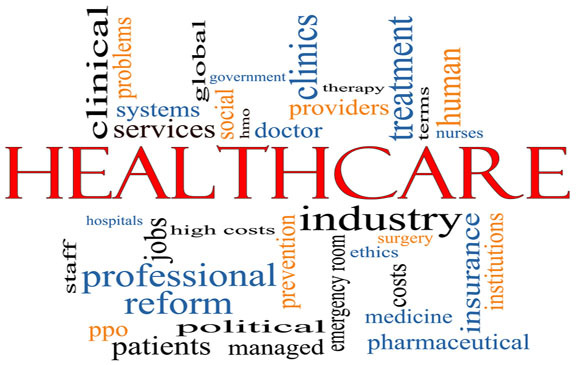 (4) If you have health insurance, can you afford to go a doctor? (5) How many medications are you taking monthly? (6) Can you afford all your medications? (7) Are you so frustrated with the whole process, that you put it all on the back burner? health insurance. Look in your immediate circle of 10 people, what do you think? Be honest with yourself. We all know the law requires people to have health insurance, yet what is REALITY? 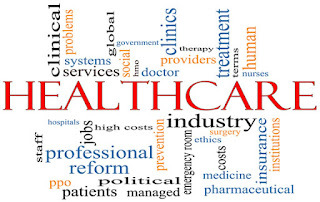 When I look at reality, there are a lot of people and I’m talking MILLIONS who can’t afford the monthly premium, they have health issue (some not all), there are husbands who can’t add spouses to employer sponsored plans due to cost and there are people who have health insurance and CANNOT afford the deductible so they don’t see a doctor. Is that Health Care? Assess your situation. Health Care is PERSONAL and Individual! Dr. Taffy Wagner is a Personal Finances Educator and President of Own Your Health Care, LLC. She educates people online and offline about health insurance, alternatives to health insurance, money and marriage and personal finances. You can visit her website at www.ownyourhealthcare.com . Connect on Twitter and Facebook.